In each season, our body is asking us for something different. In the springtime in the Northeast, after a long cold winter of heavy foods and limited exercise, all of our systems are shouting for movement and renewed flow. Luckily, the herbs our bodies most need after winter are most abundant and potent in the spring! 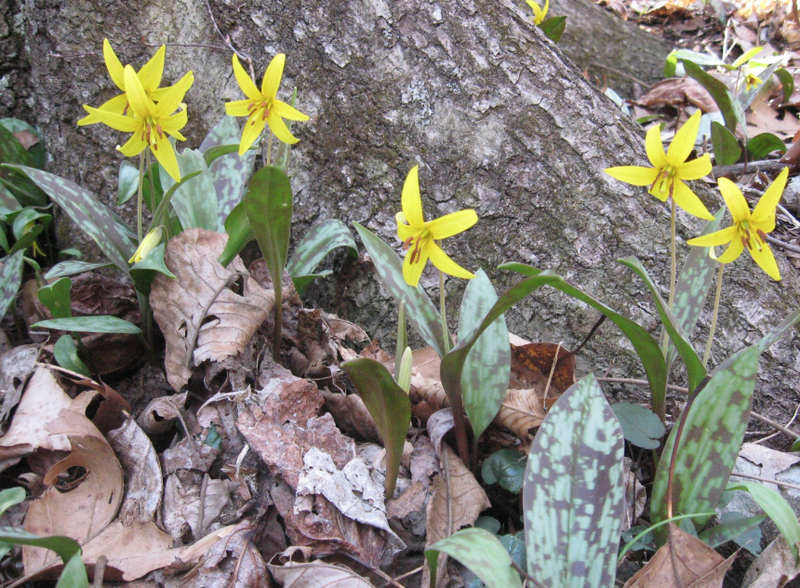 Below we will go through some common wild plants that may be in your very own back yard that are famed clearers of congestion, movers of lymph, and liver detoxifiers. That humble yellow flower so often stamped on and sprayed always comes back, to the dismay of passionate monoculture-lawn-growers but to the delight of all who understand what powerful medicine she is! Every single part of the plant can be used- root, leaves, and flower. Dandelion root is a detoxifier in the sense that it helps stimulate digestive juices in the stomach and bile flow in the gallbladder which in turn aids proper elimination. It also causes excess toxins or including used up hormones that are being sent to the liver for 'processing' (peeing out) to recirculate if the liver is overwhelmed, and then guided back when capability is restored and the line is shorter. The leaf and root as tea and infused vinegar are both wonderful sources of minerals and the flower can be used in salads, added to fritters, as well as infused into oil for a muscle-relaxing massage oil. This is one spring plant that is useful to have on hand year round when your digestion feels sluggish, or if you feel a bit stagnant overall. 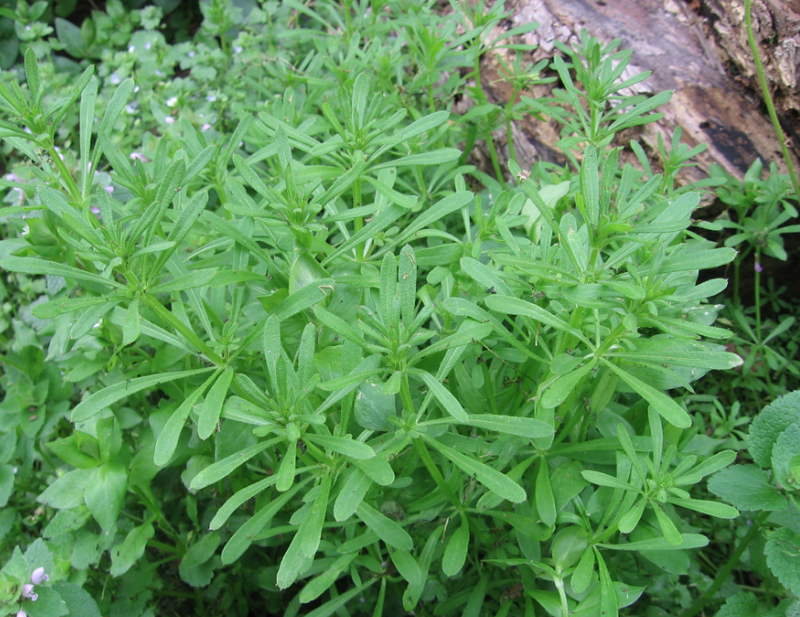 Cleavers is a juicy spring plant that grows in and on the edges of woods and likes partial shade and nice damp soil. It is easily confused with common bedstraw which looks a lot like this but is not the same plant-- the way you tell the difference is this: run your hand up the stem of the plant and if it 'catches' at you/ feels a bit like velcro it's cleavers! If it's smooth and slippery it is bedstraw. One of cleavers common folk names is 'catchgrass'- a good way to remember it's identifying feature! Cleavers helps things MOVE. Our lymph runs alongside our venous systems and collects waste fluids, and is only able to move and process with the help of our muscles (movement), hot baths, or with the use of herbs. Cleavers loves the lymph, and can help break up cysts and nodules throughout the body. It is also strongly diuretic and helps you release excess water that may be causing stagnation. It is especially good taken internally for skin problems like acne and psoriasis, in conjunction with other liver loving herbs. It is best to prepare medicine from fresh cleavers and tea, juiced, or tincture are all good options. Ahhh violets... They come in purple and white and everything in between and they are about as nutrient-dense as foods can come! The leaves and flowers can be eaten regularly in salads and made into fresh or dried tea infusions for people who find nettles too drying. The leaves also contain mucilage, which soothes and coats mucous membranes (the whole way down!) thereby easing discomfort caused by inflammation and dryness and allowing the body to heal more effectively. Violets also have an affinity to lymph tissue, and are often infused into oils for breast health, massaged on to break up and prevent fibroids and cysts. 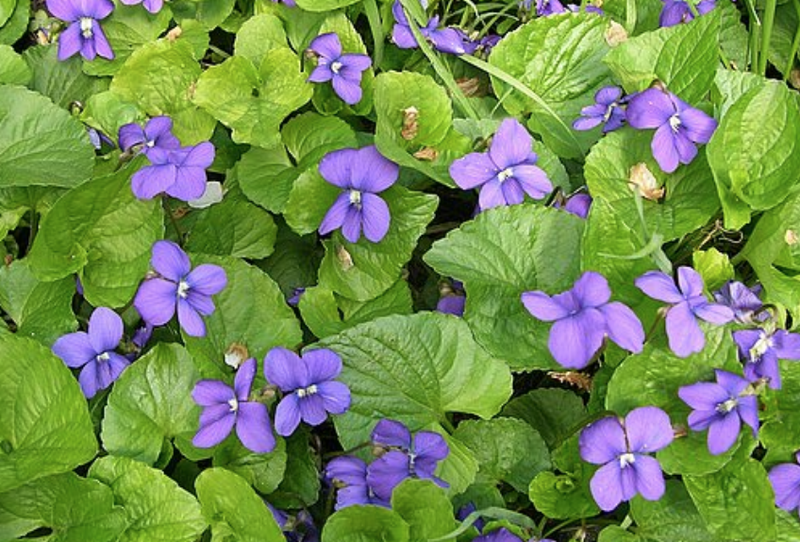 Violets are gentle and nutritive and beautiful and need to be eaten more often! The common themes here are movement and detoxification through elimination-- and while there are many more spring plants to meet, try starting with just a few to start and try out all of the different ways of preparing them before moving on to expand your plant family. This way you will be an expert and confident in your knowledge as you expand your personal internal library!